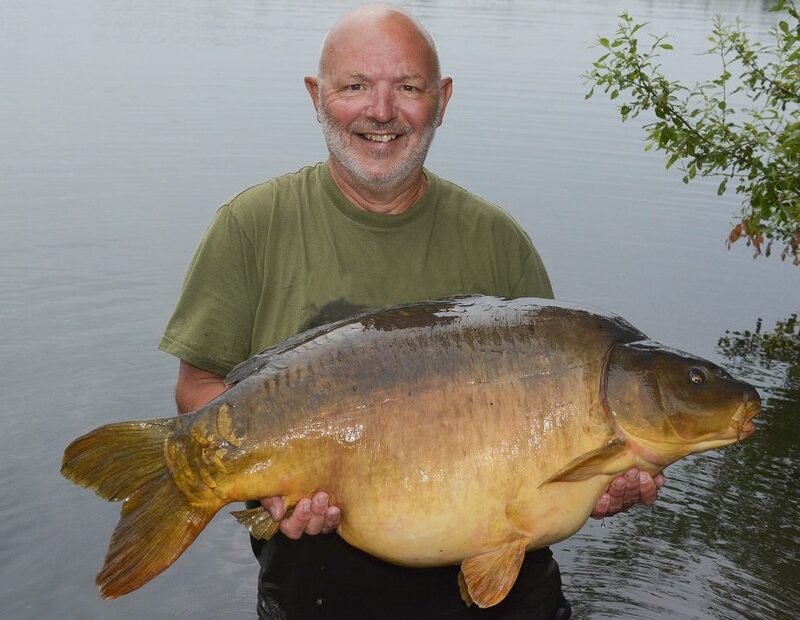 Renowned angling photographer, Mick Rouse, was on the other side of the camera as he smashed up top carp fishing venue Holme Fen with an incredible 183lb 4oz haul included his first British 50. The former Angling Times and Improve Your Coarse Fishing snapper bagged three 40s and a 50 from Meadows on the two-lake Cambridgeshire site, using CompleX-T in his feed mix. SEVENTH out of 10 in the draw for swims wasn’t the greatest start to my 6-day session on Cambridgeshire’s famous big fish water Holme Fen. However I decided to stick to what I know and chose an ‘unfashionable’ swim that had plenty of features to go at – namely three islands and a number of gravel bars all within casting distance – named, aptly, Island Bay. After baiting up three likely swims with crumbed and whole boilies, including Dynamite’s Complex T, and a little fishery own, particle mix and pellets, I settled in to watch for fish action. The following morning I spotted a fish roll gently in the featureless bay to my right and immediately covered it with a light 1 oz lead and a small PVA bag of just five 15 mm bottom baits and a single 20mm pop-up on the hook. Within 40 minutes the rod was away and a 40 lb 8 oz beauty was soon in the net. That evening an angler moved in to the swim opposite at the entrance to the bay effectively cutting me off and the action ceased, and for two days I saw no fish at all at my end of the lake. On the morning of the fourth day the angler opposite moved off and within hours I started to see action on the gravel bars so out went two baits. In the middle of the afternoon one of the rods was away with a 48-8 attached. At 4 am the following morning, as I watched constant action over my baited area, one of the rods on the six-foot deep gravel bar was away again which resulted in another forty, a mirror of 44 lb. As I was playing this fish it picked up the other line on the bar, but this was quickly resolved and the line was cleared before the fish graced the net. My dilemma now was whether to bring in the well-positioned other bait on the bar, as it had been moved very slightly, or leave it as there was still action over the bar. 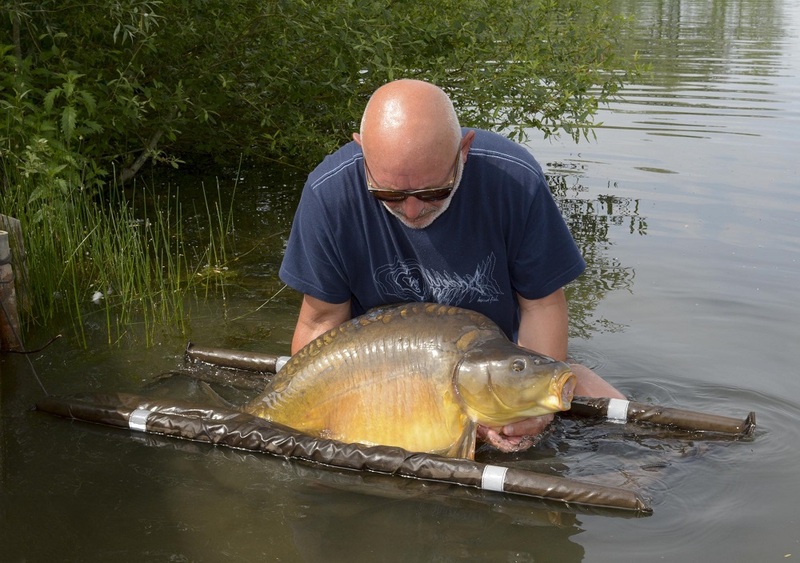 As it was presented on a stiff hinged Ronnie rig, and I was comfortable it would reset easily over gravel, I left it – probably the best angling decision I ever made as 45 minutes later it was away with my first-ever British fifty – a beautiful mirror of 50 lb 4 oz! Four mirrors for a total weight of 183 lb 4 oz. Not bad for seventh out of the hat!